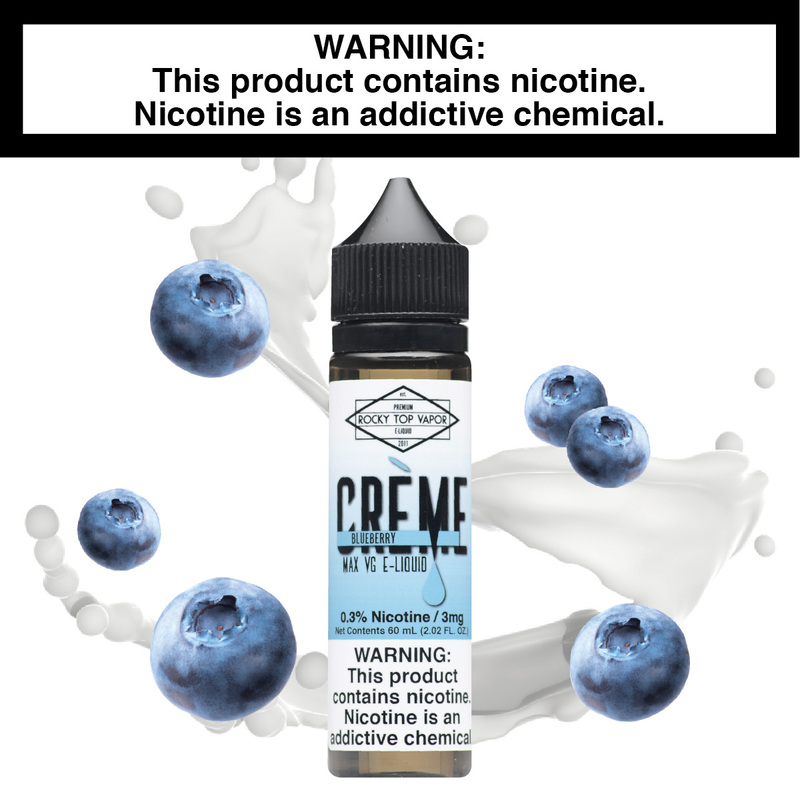 Blueberry Creme - Creme E-Liquid Blueberry Creme - Plump blueberries taken straight from the garden and blended with our signature cream base. These blueberries won't stain your clothes, though! Blueberry Creme - Plump blueberries taken straight from the garden and blended with our signature cream base. These blueberries won't stain your clothes, though! I got a bottle of this the day they released it. 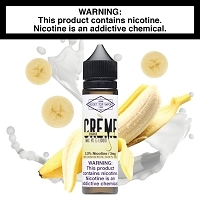 Being that Flux is one of my, if not my, favorite flavors, I trusted Vaping Collective to get the Creme line right. Simply put, this flavor is extraordinary. Super creamy with a great blueberry flavor. This flavor needs to be sweeter. Love Love Love this Juice! 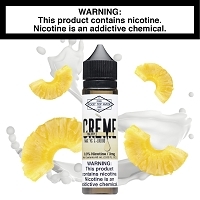 I used to have an issue with flavors just getting bland after vaping the same flavor for a while but with this one every puff has the same great taste. 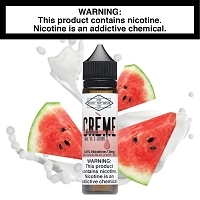 I enjoy this flavor alot especially the blueberry and water melon. The pineapple is also good but you will have to try them. For your self they taste on rta's some people only use sub ohm. Buy your missing alot of notes on your pallet. Rda's also sub ohm is good but why taste a little when. You could have it all..